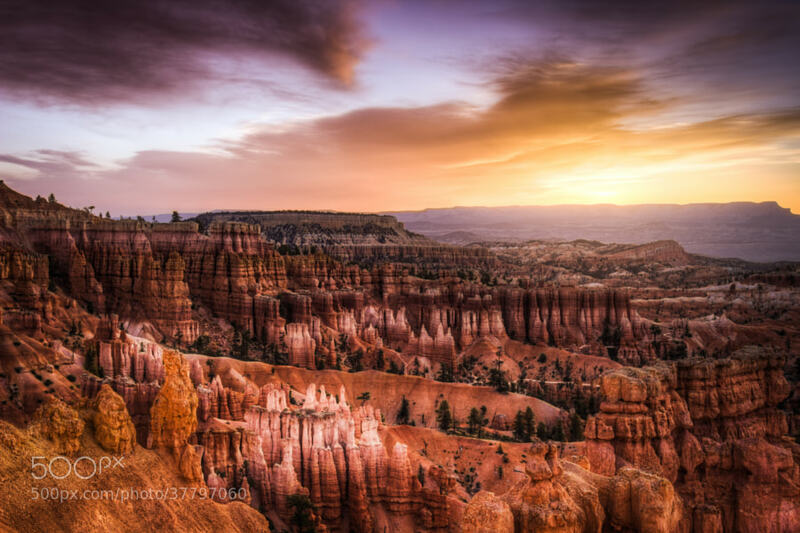 What do you think of this HDR photo of Bryce at sunrise? I find myself going back and forth about HDR photography, but I have to admit this one caught my eye. It seems to capture colors in Bryce that in truth we rarely see with our natural eyes. Maybe I like it because I see a lot of photos of Bryce, so the ones that catch my eye are ones that show it in a different light. That highlight by a different means the stunning beauty that is Bryce Canyon. I hope you feel the same when you see this image. That is gives you an increased desire to return and see additional parts of Bryce that maybe you haven’t seen yet.